Seniors with Parkinson’s commonly take dopamine replacements and other prescription medication designed to alleviate or reduce symptoms. However, conventional treatments and therapies can become quite expensive. Here are a few herbs and spices used as alternative treatments that provide amazing results and are cost effective. The aquatic Bacopa monnieri plant is commonly found in ponds and aquariums around the world, including North America. Constituents of the plant are known to protect neurons. Chemical components also restore the lipid content of nerve tissue. Bacopa also prevents alpha-synuclein proteins from accumulating and forming Lewy bodies in the brain. While there’s no cure for Parkinson’s disease at present, there are a number of ways older adults can manage the symptoms of this condition and lead healthier lives. Seniors who want to remain healthy as they age can benefit in a variety of ways when they receive professional at-home care. Sacramento, California, Home Care Assistance is here to help your loved one accomplish daily tasks, prevent illness, and focus on living a healthier and more fulfilling life. This plant is also known as European cranberrybush, guelder rose, and water elder. The flowering herb grows wild in Africa, Central Asia, Europe, and North America. The muscle relaxant properties are beneficial for relieving general muscle spasms and tremors in addition to enhancing kidney function. Henbane is also known as fetid nightshade and black henbane. The herb was used during medieval times to make beer until the discovery of hops in the 11th century. The hyoscyamine and scopolamine compounds found in the plant act as muscle relaxants, which are useful for alleviating the spasms and tremors associated with Parkinson’s. However, as the plant extracts can be toxic, doses must be determined by a medical professional. Taking medications on time and managing other tasks can be difficult for aging adults with Parkinson’s disease. A Sacramento caregiver can help your elderly loved one manage his or her health in a variety of ways. 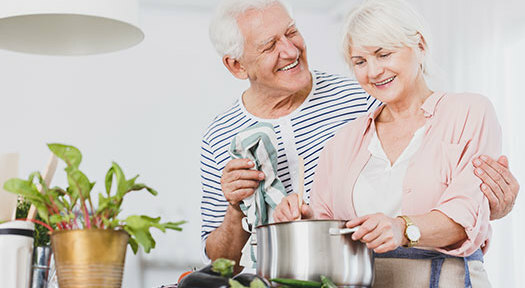 If your loved one needs encouragement to exercise more often, eat healthier foods, or socialize on a regular basis, an in-home caregiver can address these and many other health-related concerns. This vining plant grows wild in the forests of tropical destinations, and it is also known as the deer-eye bean, the donkey-eye bean, and the ox-eye bean plant. Levodopa is one of the many chemical compounds found in Mucuna. The antioxidant compounds of the plant interfere with free radicals that contribute to nerve tissue damage and early dopamine breakdown. Trace amounts of serotonin encourage sleep and boost mood. Passion flower grows as a vine, bush, or tree in Mexico, Central, and South America. The leaves and roots of the Passiflora incarnata, or maypop species, were long used by Native Americans and later by the colonists. The leaves fresh or dried were made into teas. The plant produces mildly sedative effects similar to benzodiazepines. MAO inhibitor compounds encourage the accumulation of dopamine along with inhibiting their breakdown. As such, passion flower is also used as an antispasmodic. Thorn apple is also known as devil’s trumpet, jimson weed, and Jamestown weed. It grows in abundance in Central America and other countries with warm climates. The plant contains hyoscyamine and stramonium that boost antispasmodic properties. Although often used to treat asthma, thorn apple can also reduce the involuntary muscle tremors seniors with Parkinson’s experience. Plant extracts in topical ointments relieve inflammation and nerve pain. The toxicity of the plant requires careful dosage determinations by a professional. When seniors develop Parkinson’s disease, their families are not always able to provide the care they need and deserve. Sacramento, California, Parkinson’s care experts are available around the clock to help seniors maintain a high quality of life while managing the symptoms of Parkinson’s, allowing families to enjoy greater peace of mind. To hire a professionally trained caregiver for your senior loved one, call Home Care Assistance at 916.706.0169 today.